Please note that much of the information below is intended for people living in Wales. At what point should I involve an architect in my project? As early as possible! Architects provide creative guidance and advice most effectively the earlier they can be involved in the process. This allows us to make the best of any available opportunities and avoid potential pitfalls. You can make certain extensions, improvements or alterations to your home without planning permission, these are known as Permitted Development Rights. A full guide to these rights can be obtained by clicking here. As a rule of thumb, if your neighbours have done it, you probably can too. However, each case is individual, so don't rely on this rule. If you're still not sure, why not contact us, so that a member of our team can meet you at your home for a free, no obligation consultation? It's a reasonable generalisation to say that if it involves construction, it involves building regulations. Where most people fall short is 'renovation of a thermal element' i.e. re-rendering a wall, changing your roof tiles etc. 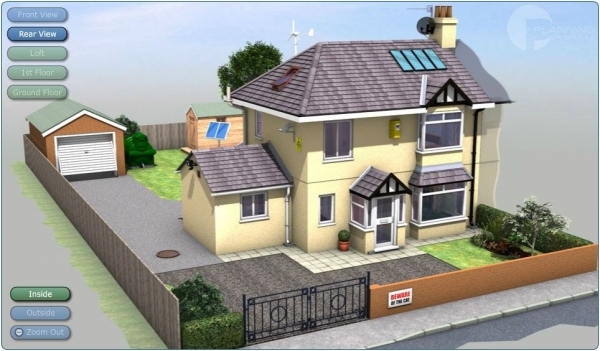 If you make changes to the 'envelope' of your home, you need building regulations compliance. A useful resource for finding out if you need building regulations is the Interactive Home on the Planning Portal. Simply click on the part of the home you're interested in and then click Building Regulations. Our fees are bespoke for each client, calculated on an hourly rate as each project is unique. Contact us today for a free half hour consultation. What services do you provide after doing the plans to help me ensure my project turns out as expected with the builder? We provide a full architect's service from concept to completion. That means, that we can be with you for the duration of the project including the building process. We can provide a tendering service to help you select an appropriate building contractor and also set up and administer a construction contract to manage the relationship between you and the builder. This gives you the peace of mind that you've always got a professional at hand every step of the way. How long is a piece of string! The length of the process varies depending on the complexity of the project and the specific issues of the project. In an ideal scenario, the process takes between 5 - 10 weeks. Can you calculate the build cost? We can provide you with 'ball-park' figures based on our experience of the construction industry. If you need accurate costings, we can provide these to you using one of our approved Quantity Surveyor Sub-Consultants. Imagine that the quantity surveyor is an accountant for the construction industry. They will quantify the elements of the work and write a 'Bill of Quantities' for your scheme. This is a bit like a shopping list that builders can use to price your project accurately. The quantity surveyor can also price their own Bill of Quantities to give you an indication of the kind of price you can expect from a builder. Can you assist with setting up a contract between me and the builder and what format should it take? Darkin Architects have successfully administrated many construction contracts and can provide you with the advice you need for your project, no matter what size. We advise on different contracts for different projects, depending on the scale and complexity of the project. We don't believe you should use a sledge hammer to crack a nut, so we also use domestic renovation contracts that would be tailored to your specific needs. How does Carmarthenshire County Council's Affordable Housing Contributions Policy work? Click here to visit a dedicated page on this issue. Please find below a list of websites/documents that might be on interest. A link to an external website from this website is not an endorsement or approval of that website, the site's owners, or their products and services. We are not responsible for the content of external sites.